My name is Rachel. I was born in Nebraska, but was mostly raised in a small town in central North Carolina. After graduating from UNC-Chapel Hill (go Heels! ), I escaped to the sunny paradise of San Diego for nearly 7 years until heartstrings pulled me back to my family in North Carolina. Raleigh has been home since 2012 and I’m lucky enough to have a wonderful kitchen-cleaning boyfriend, a goofy rescue dog named Gus, and my brother, sister-in-law, and two adorable nieces as my literal next door neighbors. My love affair with the kitchen began when I was five years old. My mother gave me a small silver tin, showed me the basic ingredients for making cake and set me free to experiment. I soon learned that the kitchen was a place where I could play and others would (usually) delight in my creative whims. I also learned that you should never switch the quantities of flour and baking soda, unless you plan on helping your mom clean up the resulting confectionary explosion that will most certainly attack your oven shortly after. From the beginning, cooking and baking have been my constant outlet for creativity, my respite from a hectic day, my meditation in motion. 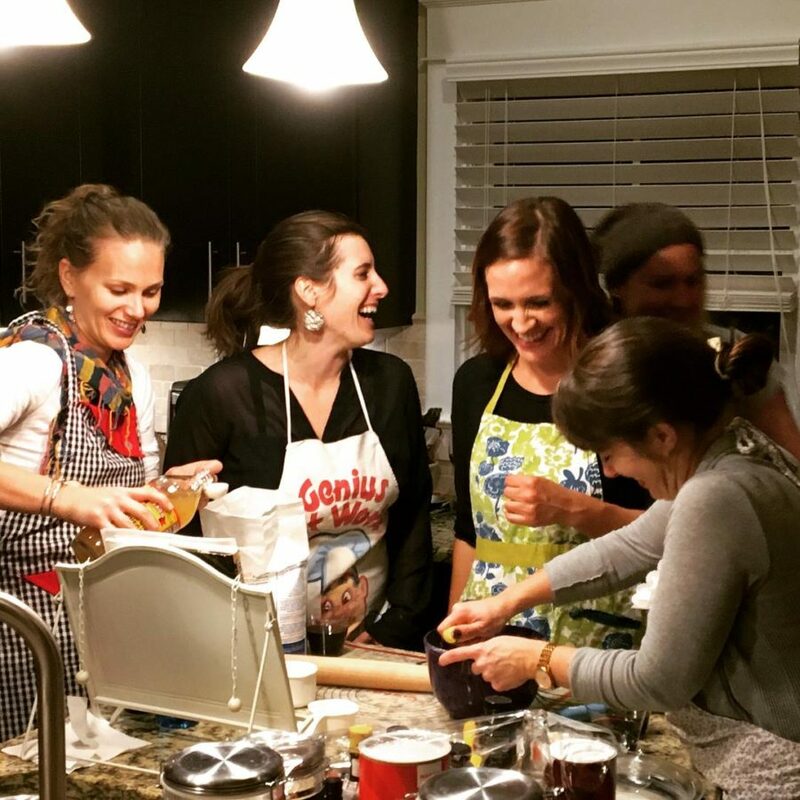 My hope for The Whisk Project is first to inspire others to find joy and creative challenges in the kitchen. My second hope for this blog is to bring people together. And if I know anything, it’s that sharing food brings people together. The simple act of sitting around a table, sharing in a meal and engaging in conversation can breathe air into us. Much like the act of whisking, food can combine different ingredients together and even add an airiness and lightness to whoever is present. In a world where we’re becoming disconnected and divided, The Whisk Project aims to bring us back to both the simple and yet complex vulnerability of sharing a meal with ourselves, our loved ones, our neighbors, our friends, and strangers who may just become our friends through the passing of the bread basket.